After working as a psychologist and starting law school, Matt Bumpas decided to pursue his passion — making desserts. Now he’s got his own company, Sweet Bumpas, creating desserts, candies and ice cream. 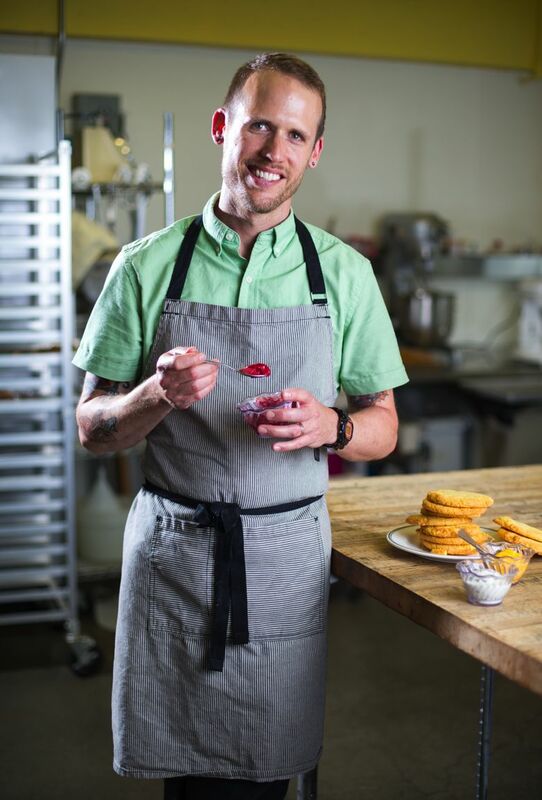 THE CAREER PATH Matt Bumpas took appears straight and sweet at first glance: A graduate of Seattle Culinary Academy, he worked at Kaspars Special Events & Catering, advanced to a line cook’s job at Poppy restaurant, then the prestigious position of pastry chef at Poppy. In January he went out on his own, founding Sweet Bumpas, a dessert, ice cream and catering business. Looking further back, though, his path was as roundabout as the milk churning through his gleaming ice cream machine, as unexpected as pumpkin-curry leaf or corn-cinnamon basil, or his other creative flavors. Growing up in southern Virginia, Bumpas adored cooking, but got the message that a professional career should be more traditional and secure. He earned a bachelor’s degree in psychology, then two master’s degrees, and worked as a psychologist in Seattle Public Schools. Law school was his next move — but when he should have been studying during his first semester, he kept looking at the Seattle Central College website instead. It came to him that following his dream was a less risky move than pushing it off. He enrolled, and loved it. His final project, a four-course meal for 16 people, had a Southern theme. He got his chance at Tosoni’s in Bellevue, quickly moving to renowned chef Kaspar Donier’s catering business, then to Poppy. And yet his talents were suited to the analytical specialty: “I enjoy playing with numbers and manipulating data,” valuable skills for baking and candy-making. His experience as a savory cook added an edge, letting him build flavors in unexpected ways. Seattle, he felt, had a niche he could fill, making smooth, creamy, flavor-packed homemade ice creams. He went through one more bit of schooling — an ice cream makers class in Wisconsin — and left Poppy to found Sweet Bumpas. Now he’s scaling a different learning curve, studying profit and loss statements, working with his tattoo artist to design the logo on his pint containers and a Small Business Administration mentor on business plans, taking gleeful pleasure in setting up his “so cute” cart at area farmers markets. 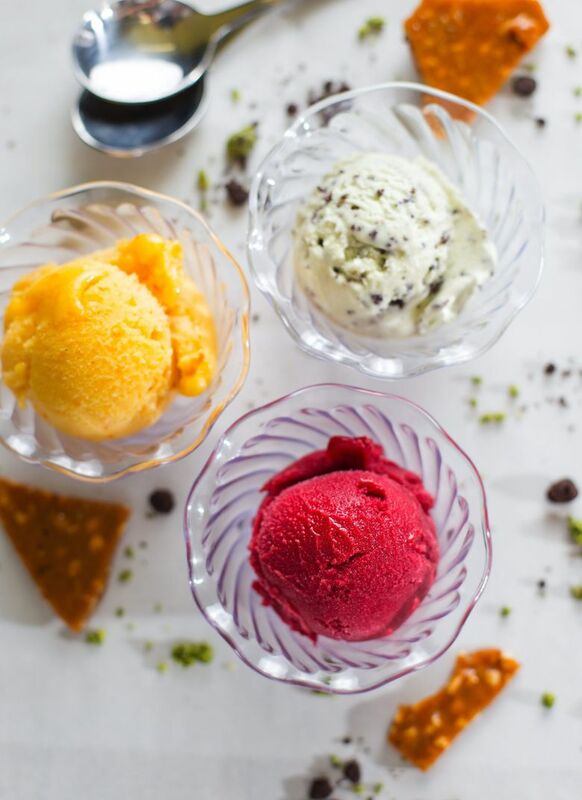 Customers might find burnt honey and Urfa biber toffee ice cream as well as blackberry-vanilla, plum-jasmine sorbet along with peanut butter and jelly ice cream sandwiches. After the loneliness of the professional kitchen, where the pastry chef arrives early and leaves before the dinner rush, he feels a new relationship with diners, seeing firsthand the pleasure they take at their first bites. The human connections he once found helping students and parents have shifted from classroom to counter. “I always knew in the back of my mind what I wanted to do, and didn’t have the courage to do it,” he says. Rebekah Denn is a Seattle food writer. John Lok is a Seattle Times staff photographer.